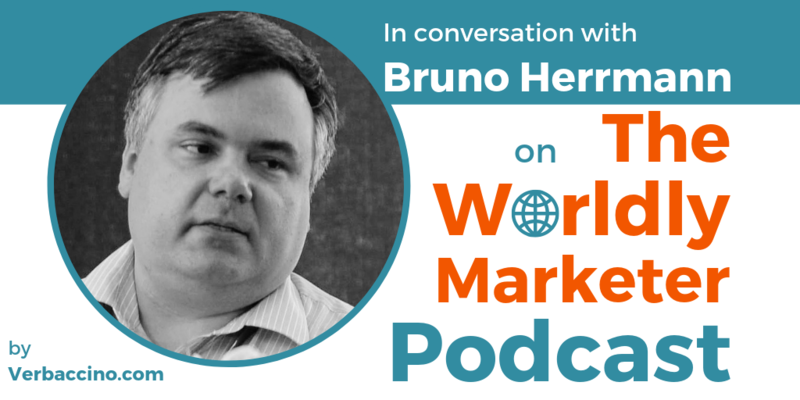 Bruno Herrmann has been a guest on the podcast twice before: on episodes #010 and #105. He is a seasoned localization and globalization strategist, evangelist and leader with a passion for taking up challenges at the intersection of product, content and technology in various industries and around the world. Over the course of his 25 years of experience, Bruno has helped design and improve processes, he has partnered with stakeholders and team members, and he has acted as a change agent and a business partner in the IT, Operations, Communications, Marketing and Product Management roles that he has held. Bruno is a frequent speaker and moderator at industry events, a regular contributor to industry publications, including VTQ, Brand Quarterly and EContent Magazine, and he is also an Advisory Board Member for Brand2Global. Catch Bruno’s thoughts on the critical role of cultural intelligence in the development of truly effective AI for global business.